Prior to law school, Ephram Levin worked as an auditor for a small accounting firm and then was a paralegal at a national law firm. The investigative skills he honed in those roles provided him with the sound and simple philosophy he now has as an attorney: find out what the problem is, learn as much as you can about the problem, and solve it. A member of the firm’s Construction and Procurement department, Ephram represents public and private sector clients in matters including bidding issues, delay claims, construction defects and complex litigation. He also serves as an assistant municipal prosecutor for several Burlington County municipalities. 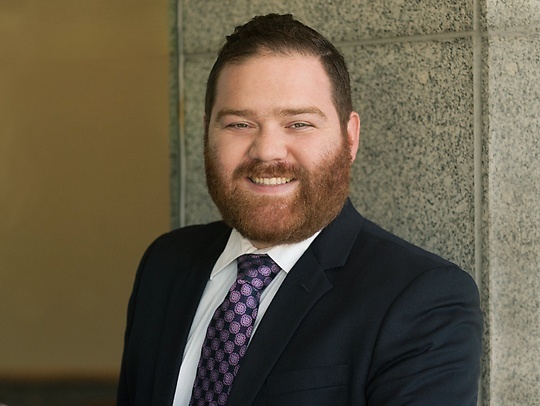 Prior to joining Parker McCay, he was an intern with Magistrate Judge David Strawbridge in the Eastern District of Pennsylvania and had an externship with Chief Judge Eric L. Frank, of the United States Bankruptcy Court for the Eastern District of Pennsylvania. In his free time, Ephram enjoys cooking and being a new father. He lives in Cherry Hill with his wife and daughter.